Magaña, Cathcart & McCarthy has been practicing aviation accident litigation for over 60 years. We have been involved in most of the major commercial airline accidents around the world and have represented injured victims and the families of those lost in general aviation accidents as well. 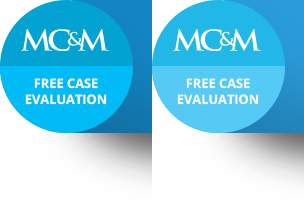 Magaña, Cathcart & McCarthy is internationally-renowned because our attorneys provide representation based on first-hand knowledge of the aviation industry. Two of our attorneys are general aviation pilots and another flew helicopters in Vietnam, giving our firm personal experience in a wide range of aviation fields. The air ambulance industry has grown dramatically in recent years. It used to be that only those suffering from the most serious, life-threatening injuries were transported to the hospital by EMS helicopter (HEMS) and all other accident victims were transported by ground ambulance. Now, air transport of trauma victims is commonplace. According to the Federal Aviation Administration (FAA), there are approximately 840 emergency medical service helicopters operating today. The rapid growth of the HEMS industry has come at a price; HEMS is one of the most dangerous forms of air travel. Historically, the number of HEMS accidents was highest during the industry’s peak growth periods. The number of HEMS accidents nearly doubled during the HEM’s most rapid growth periods during the mid-1990s and from 2000 to 2004. For example, there were nine accidents in 1998, compared with 15 in 2004, five of which resulted in 17 fatalities. As of 2010, the fatal accident rate for all HEMS travel is 1.18 per 100,000 hours of flight. At a fatal accident rate of 1.94 per 100,000 hours of flight, piston helicopters appear to be the most dangerous. In comparison, the fatal accident rate for all general aviation and air taxi flights is 1.13 per 100, 000 hours of flight time. Air Medical Resource Management (AMRM): minimum guidelines for Air Medical Resource Management (AMRM) training focusing on pilots; maintenance technicians; flight nurses, paramedics, and physicians; medical director; specialty team members, such as neonatal teams; dispatchers, maintenance staff, and any other air medical team members. Certification of Night Vision Goggles (NVGs): Since 1994, the FAA has approved 28 designs for the installation of NVGs on helicopters. Although there have been significant improvements in air ambulance safety since the peak growth periods, most safety measures required on larger aircrafts are not mandatory for helicopters such as EMS helicopters. According the FAA, devices designed to make flight safer, such as Flight Data Recorders (FDRs) and TAWS, are not required for HEMS flights because of the nature of helicopter flight. Helicopters generally fly at lower heights and speeds than larger aircraft, and are involved in lower impact crashes. Because of this, and because of the high cost and weight of airliner FDRs, the FAA is exploring a more helicopter-friendly alternative to standard FDRs. Likewise, TAWS, which are essential to safe airplane flight, could generate false alerts and "nuisance" warnings for helicopters flying at lower altitudes than the average plane. The FAA fears this will impede the flight crews’ response to valid alerts of approaching terrain dangers. Thus, despite investigations and recommendations on how to improve HEMS safety, no real increases in safety have yet been made. The "working" helicopter’s mechanical systems are frequently stressed to their limits. Any mechanical failure that results is likely to have catastrophic consequences. For example, every helicopter is designed to land safely in the event of engine failure through "autorotation." Autorotation occurs when the helicopter’s main rotor system is turned by air moving through the rotor instead of by engine power. To autorotate successfully, however, the pilot needs either sufficient altitude or sufficient airspeed. Unfortunately, when hovering low over a worksite, the pilot has neither. That means that the pilot’s chances of landing safely after an engine failure are remote. As if flying a news helicopter was not already risky enough, negligence on the part of air traffic control can also cause a serious helicopter accident. The NTSB recently launched an investigation into a near collision of a Southwest Airlines 737 and a Bell 207 news helicopter over a runway at Houston’s Hobby Airport. While leaving the airport, the two aircrafts came within about 100 feet of each other. The airplane, carrying 135 passengers and five crew members, was cleared to depart from one section of the airport at the same time the helicopter was cleared to depart from another section. Both crews took proper evasive measures, narrowly avoiding what would otherwise have been a devastating collision. Runway safety measures at airports nationwide are clearly lacking, as this is the second near-accident the NTSB has investigated within two weeks. The other involved a small private plane that was almost involved in a collision at Burbank’s Bob Hope Airport. Helicopter sightseeing is a big business, particularly in Hawaii, where each year more than one million visitors tour the islands by air. The tours are a great boon to the islands’ economy. The tour industry’s accident rate, however, is unacceptably high. In fact, the helicopter tour industry’s safety record is so bad that, statistically speaking, Hawaii is one of the most dangerous places in the U.S. to board an aircraft. Casualties result from the islands’ "micro weather;" inhospitable terrain that provides little chance of a successful landing in an emergency; and pilots who, in an effort to please passengers, fly too close to the islands’ geographical features and end up colliding into them. Shoddy maintenance accounts for its share of accidents as well. Finally, according to one of Hawaii’s largest helicopter operators, the make and model helicopter that is most popular for Hawaii sightseeing is, by design, dangerous and defective. Operators use the helicopter nonetheless because the model is the most profitable. Most tourists aren’t aware of the risks. They don’t know about the industry’s poor safety record, and assume that the FAA would not allow an operator to stay in business if its tours weren’t safe. Victims’ families are surprised to learn that the FAA’s oversight is, in some cases, almost non-existent. In fact, the FAA doesn’t even know that some tours are taking place, or who is in charge of helicopter operations. Helicopters can transport personnel to destinations as varied as office building rooftops and oil rig platforms. Local winds and weather, darkness, the rush to deliver the personnel, and mechanical problems all contribute to accidents. Because of the complex mechanical and aerodynamic issues association with helicopter flight, unraveling the cause of the accident is challenging for even the most knowledgeable specialists. To discuss a helicopter accident and potential personal injury claim, contact the aviation attorneys at Magaña, Cathcart & McCarthy. As experienced attorneys and pilots, our attorneys understand the issues an injured accident victim or surviving family member must face.